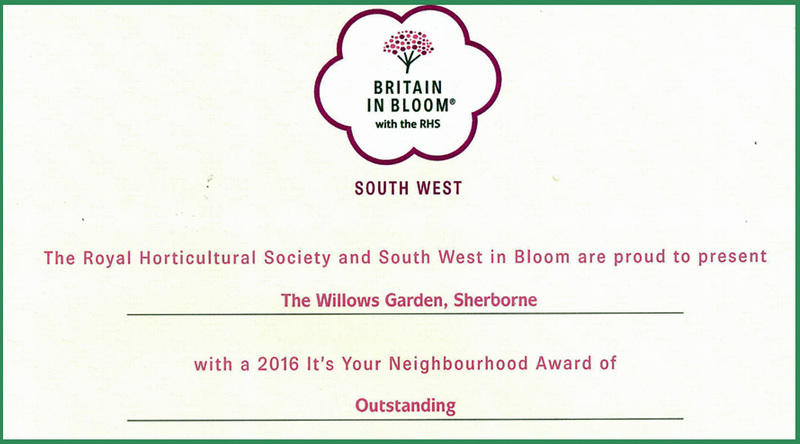 The award was presented at the South West in Bloom prize giving ceremony at Taunton Cricket Ground on 6 October 2016. 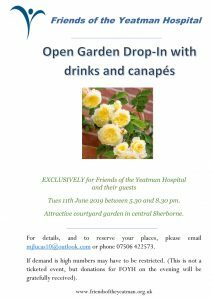 Sherborne in Bloom enters gardens every year into the South West region of the ‘Britain in Bloom’ competition. Being the first time the Willows had been entered, the garden volunteers were delighted to be given the highest level award. 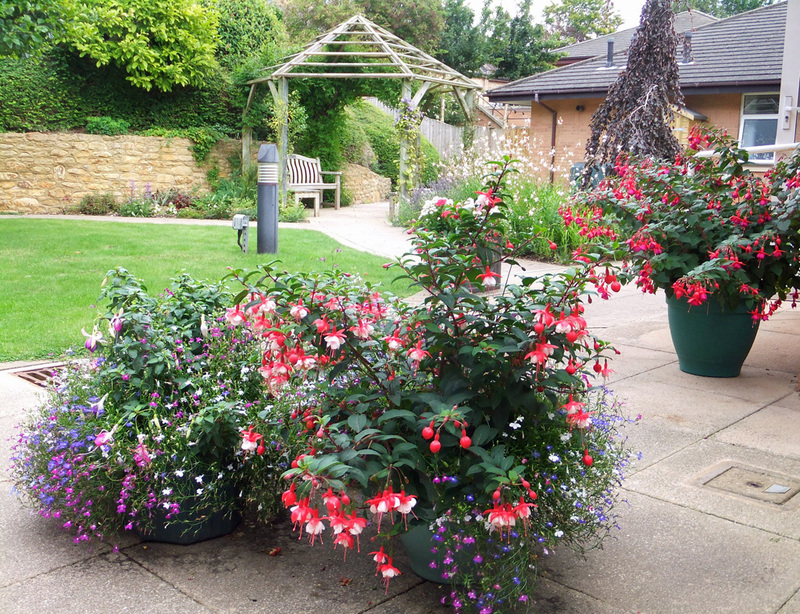 The landscaping of the Willows garden was organised by the Friends, and provides a variety of peaceful locations for patients and their visitors to relax “off-ward”. It is wheelchair and occasionally bed-friendly.